What’s come over M K Narayanan? There was no fig leaf about “rogue elements” or suchlike. The national security advisor’s words appear as if the gloves are off. In a comment that perhaps reflected the sentiments in the government, Narayanan was also quoted as saying that such acts of terror need retaliation. “I think we need to pay back in the same coin. We are quite clear in our mind,” he said. Indicating that the joint anti-terror mechanism with Pakistan had run its course, Narayanan was quoted as saying: “The anti-terror mechanism was one piece of this picture. The hope was that in course of time both sides would share whatever information they have and come up with a holistic idea of what was going on. In the aftermath of the July 7 attack, some Indian analysts have suggested an active role for India in the security affairs of Afghanistan. They characterise the Indian Defence Minister’s April 2008 ruling out of the option of sending troops to Afghanistan as “deficient strategic thinking”. Such analysis, to say the least, is based on a complete lack of understanding of the dynamics of insurgency in Afghanistan. It also ignores the far reaching benefits flowing to the Afghan people from the activities that India has been engaged in and which in fact has troubled the Taliban and its sponsors. Dr D’Souza has a point. The security situation in Afghanistan today is very different from what it was two years ago. So India would do well to avoid becoming a significant military combatant in the Afghan war. Rather, it would do well to press the United States, and especially NATO, to enhance their military commitments to Afghanistan. However, additional troops might be necessary to secure Indian re-construction efforts. This is the other factor determining troop levels. Therefore, instead of a policy that rules out additional troops, India’s response should be one of constantly calibrating its security presence. In any case, the point of focus is quite likely to be Pakistan. As Praveen Swami writes in The Hindu today, an unavoidable (from India’s perspective) “proxy war” is already going on in Afghanistan. Given the state of affairs in Pakistan, reading the signals right, and achieving escalation control in the proxy war is the fundamental challenge to India’s Afghanistan policy. Last week Pakistani soldiers were killed in an air-strike by US forces in the Mohmand Agency, along the Afghanistan-Pakistan border. And yesterday, four Pakistani soldiers were killed in an exchange of fire along the Line of Control in Kashmir…by jihadis, who, it is suspected, failed to cross over to the Indian side. Allies are killing Pakistani soldiers on both sides. Here is a chart showing outlays for ‘technical and economic cooperation with other countries and advances to foreign governments’, allocated to the foreign ministry. There are new allocations for Afghanistan, and an increase in allocations for Bhutan. There’s a modest increase for Sri Lanka and Africa. But allocations for ‘other developing countries’ (ODC in the chart above) have been cut. India appeared to have disbursed less that what was budgeted for Myanmar, and this year’s allocations are lower. There was an unplanned increase in assistance to Bangladesh last year—quite likely due to emergency assistance for flood relief—but the outlay this year is almost the same. The United States ‘offers’ to send special forces and military assistance to the Pakistani army fighting the Taliban militia in South Waziristan and other tribal areas. Politicians, pundits and even ordinary people around the world publicly express worries about Pakistan’s nuclear weapons falling into jihadi hands. Baitullah Mehsud, until recently the anointed leader of the Pakistan Taliban, gives an interview to Al Jazeera, stating that it was the United States that posed a threat to Pakistan’s nuclear weapons, not he. Around this time, Mullah Omar—he with only one eye—sacks Baitullah Mehsud, for attacking Pakistani forces instead focussing on the US-NATO troops on the Afghanistan side of the border. General Musharraf is in Europe finding it hard going answering questions about his own role in Pakistan’s political crisis. Around this time, back home in Rawalpindi, General Khalid Kidwai, the most public face of Pakistan’s nuclear command, reassures the media on custodial control. And then, Pakistan announces that it has raised the state of alert over nuclear weapons. 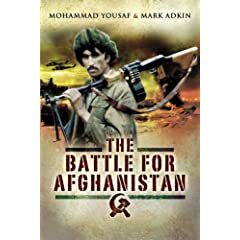 Mullah Omar’s public signal—that Afghanistan should be the focus of the Taliban insurgency—indicates that he would rather not have US forces fighting on the Pakistan side of the border, sandwiching the insurgents. It also serves Musharraf’s interests. He can now tell the insistent Americans that their ‘help’ is less necessary now. Baitullah Mehsud’s statement on the danger to Pakistan’s nuclear weapons sounds identical to what the Gul & Co faction of the military establishment would argue. The message is directed at the Pakistani people, but it is almost certain that the signal is also meant for external parties with an interest in the security of Pakistan’s nuclear weapons. Here’s an hypothesis: Musharraf & Co and Mullah Omar’s Afghan Taliban have found reason to strengthen their long-standing alignment. The threat of US military intervention in Pakistan have compelled them to distance Gul & Co and the Baitullah-led Pashtuns on the Pakistani side. But this not a ‘hard’ split—for Mullah Omar & Co can’t do without help from the Pakistani side. And Baitullah Mehsud & Co can’t do without access to the lucrative drugs smuggling trade centred around Afghanistan. That leaves us with the announcement about the raised alert levels. Why announce this publicly, at a time when General Kidwai & Co are playing down the risk of losing custodial control? Well, Musharraf probably reckons this kind of news will make European audiences more favourably disposed to his protestations of indispensability.